Like neighborhood taverns of old, Tavern & Table on Shem Creek is designed to be that local gathering place where friends and family get together for classic cocktails and spectacular handcrafted food in an atmosphere as comfortable as your living room. The inventive menu, created by Executive Chef Ray England, celebrates the flavors of the Lowcountry using as many local vendors, fishermen and farmers as possible. Tavern & Table is rustic but refined, offering familiar flavors presented with a little flair and a lot of fun. Book online to the right or give us a call at 843.352.9510 to schedule a reservation. We do not accept reservations for our patio area. Outdoor dining is first-come, first-served. For private dining in the T&T Room, please see our Private Dining section below. We look forward to seeing you. 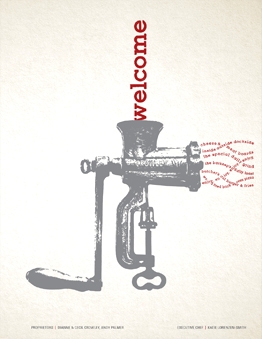 We’re excited for you to join us at Tavern and Table, a casual culinary gathering place. Our Executive Chef, Ray England, has created a global menu that celebrates local flavors and products. Our small plates and snacks are great for a light meal for one but are designed for table sharing. Those selections will come to your table as they are prepared so you can snack and share at your leisure. Our flatbreads, as well, will be served as soon as they come out of our wood fired oven, hot and toasty for you to enjoy. If you prefer a more traditional service go to our “beginnings” section for soups and salads. Follow up with sandwiches, burgers and entrees from the grinder and the Tavern. After 5pm we also have a handful of heartier dishes for your evening meal. No matter how you order or what you choose, it is our intention to give you fabulous, fresh food and drink in an atmosphere as comfortable as your own home. 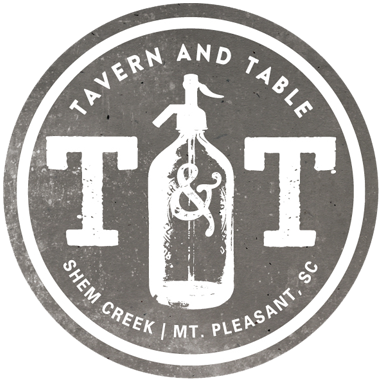 At Tavern & Table we are blessed to have a beautiful indoor bar as well as a scenic waterfront bar on historic Shem Creek. Both bars serve classic cocktails and our housemade barrel-aged cocktails, alongside expertly selected wines, seasonal craft beers and standards by the bottle. In addition to the two main bars, we also have a dockside area perfect for cocktails and snacks from the kitchen. We feature Happy Hour weekdays from 4-7pm with select specials that change throughout the year. There are few vantage points in Charleston with a better sunset than the one we enjoy daily! Enjoy a cheese and meat board, small plates or perhaps a flatbread pizza if you’re popping in for a drink and a bite, or starting your meal off in style. For fabulous parties, lasting memories and none of the stress, the T&T Room is the perfect place for your next private party. 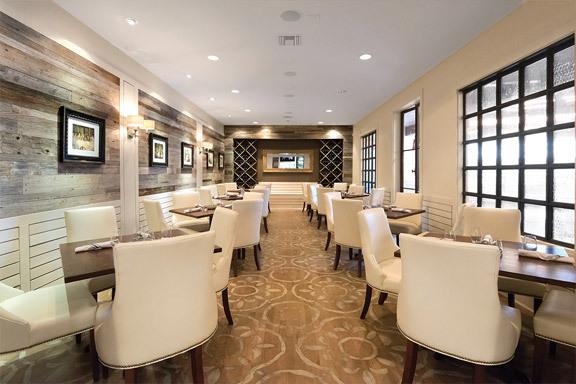 Ensconced in the heart of the restaurant but separated by opaque wire-glass panels, the T&T Room can comfortably seat up to 32 people and can accommodate 40 for a drop-in & mingle type of function. Fantastic for corporate dinner programs, business lunches with AV needs, pharmaceutical events, rehearsal dinners, birthday parties, anniversary celebrations and more. Tavern & Table’s professional kitchen & staff will deliver an unforgettable experience for you and your guests. 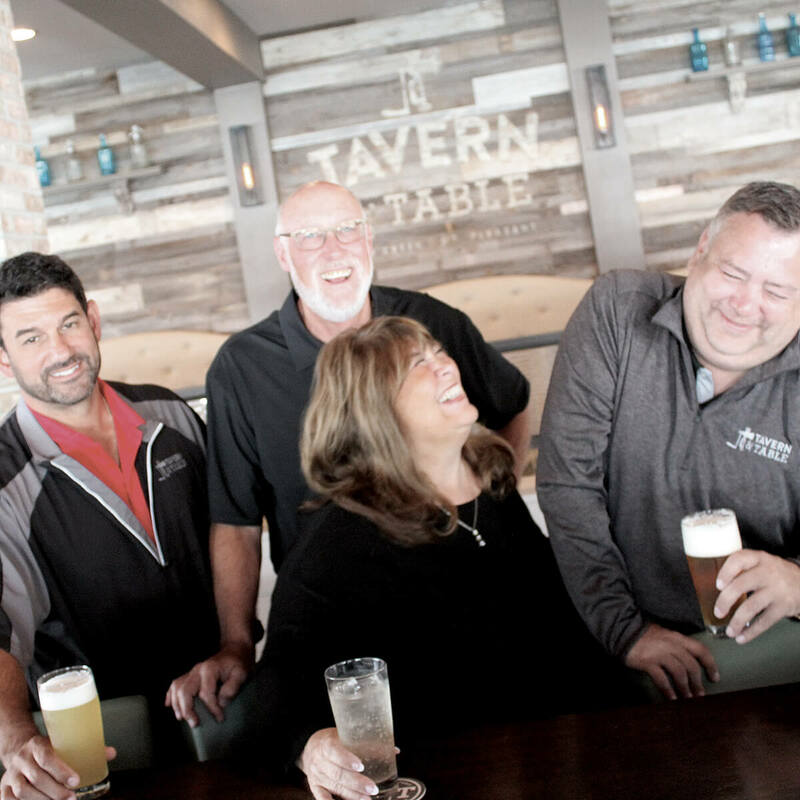 Tavern & Table is the dream child of Cecil & Dianne Crowley, Andy Palmer & Jeff Condon. After years of working together on various successful restaurant concepts, they wanted to bring together the very best aspects of fine dining and casual hospitality in a beautiful and comfortable setting. 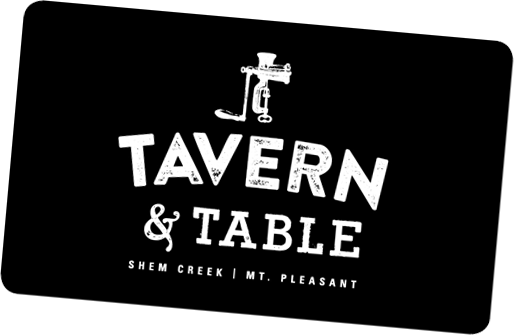 Tavern & Table is more than a restaurant, it was created to be a gathering place where people sit in comfort and share small plates for the table or enjoy a hearty meal. The bartenders know the fine art of cocktail making and their interest in flavor and presentation comes alive in not only in the food but in barrel aged cocktails that are created in-house. Tavern & Table is designed to celebrate the food and beauty of Charleston and the Lowcountry. The colors throughout compliment the setting on Shem Creek. From the beauty of the T&T special occasion room to the easy breezy comfort Dockside, there is always a place for you at our table. 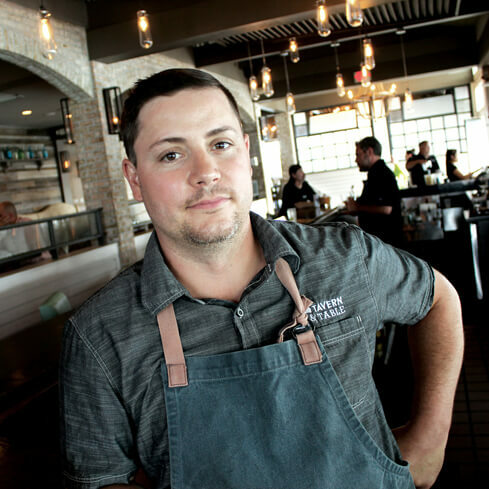 We are thrilled Chef Ray England joined our family as Executive Chef of Tavern & Table in March of 2018. He has worked in several notable kitchens, but most prominent in his career was the 10 years he spent with Chef Tom Colicchio, leaving as Chef de Cuisine of Craft Los Angeles. Growing up in North Fork, Idaho, Ray was an integral part of working on his family’s ranch. After leaving his home state, he attended culinary school in Portland, OR. Chef Ray is inspired by local farmers and fishermen to help create bold flavors in the simplest way, and the T&T menu reflects that. With a diverse menu, lunch and dinner service and our waterfront location, a Tavern & Table Gift Card is a perfect gift for birthdays, special occasions or the holidays. Currently available at Tavern & Table, by phone, or in our ONLINE SHOP. There are few places in Charleston more enticing to spend a late Saturday afternoon than Historic Shem Creek. 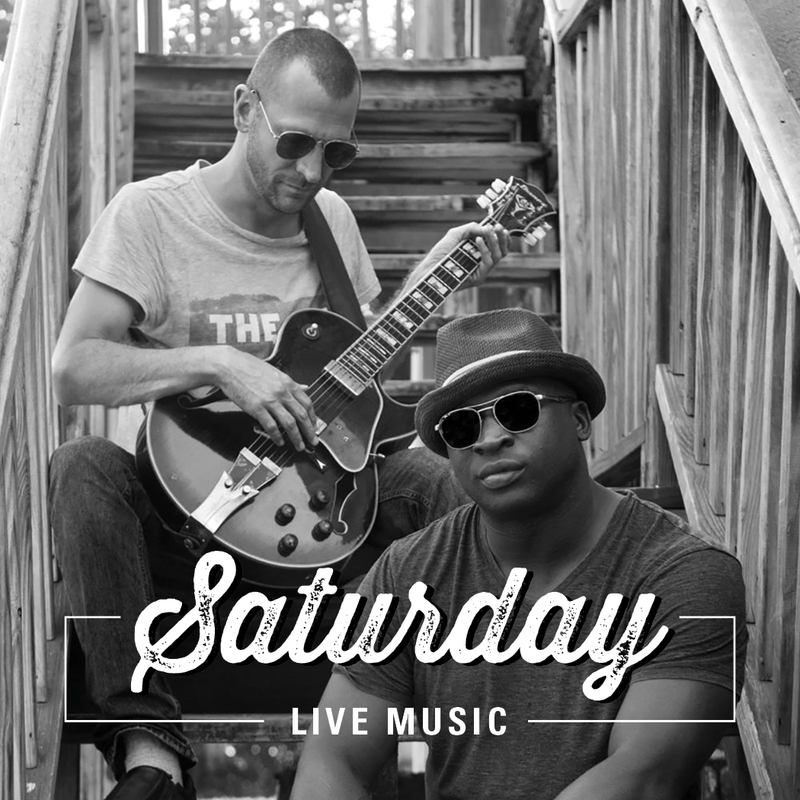 The Saturday Live Music Series is another great reason to grab a drink and enjoy a lazy Saturday on the water. Come join us for live music from 6-9pm!